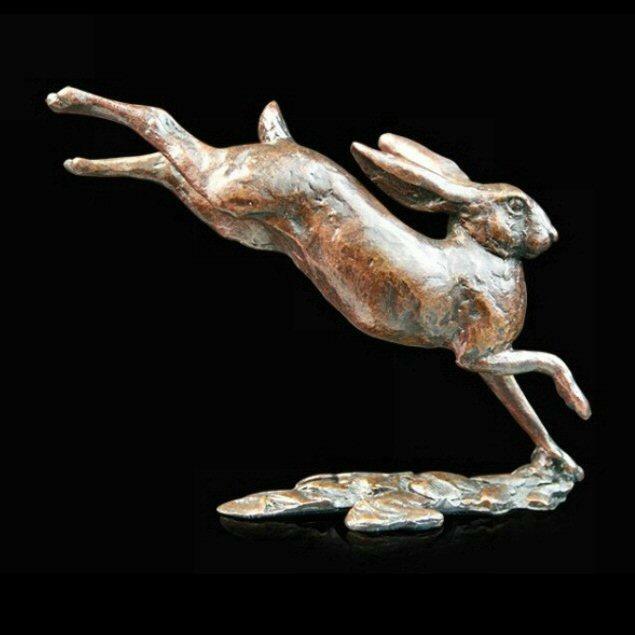 Solid bronze sculpture of a hare running by wildlife sculptor Michael Simpson. The hare is Britain's faster mammal and is capable of up to 40 mph in short bursts - enough to get it clear of danger when needed. This finely detailed, limited edition bronze sculpture would be a worthy addition to any collection.